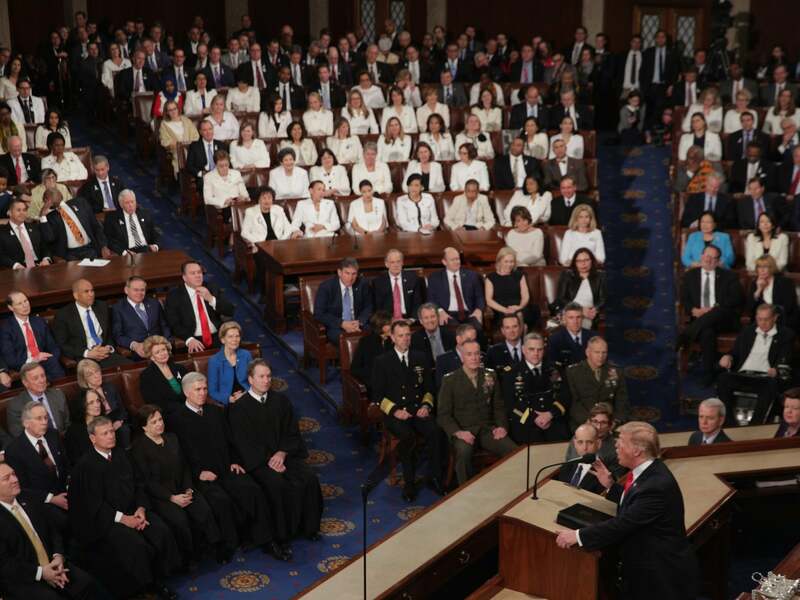 A spokesperson for Donald Trump’s re-election campaign has compared the white outfits worn by a group of Democratic women to the State of the Union to the robes of the Ku Klux Klan. Katrina Pierson, a senior adviser on Mr Trump’s 2020 campaign, tweeted on Wednesday mocking the white attire, which was worn in honour of the women’s suffrage movement. “The only thing that the Democrats’ uniform was missing tonight is the matching hood,” Ms Pierson wrote, referring to the white robes associated with the racist American group. One of the most visually striking moments during the State of the Union address came from the dozens of women who wore white — including the president’s adult daughter Tiffany Trump. The decision to do so was made, according to new Representative Alexandria Ocasio-Cortez, in order to mark the 100th anniversary of women winning the right to vote. “And there’s so much more that we have to fight for,” Ms Ocasio-Cortez said on Tuesday. “From wage equality, to pay-cheque fairness, to protecting ourselves and believing survivors”. Ms Pierson was among several conservative and right-wing commentators to denounce the women, even as Mr Trump himself noted that women had filled more jobs in the past year than men, and congratulated the historic number of women who won election to the US Congress last year during the 2018 midterm elections. Mark Simone, a radio host, mocked the women and, like Ms Pierson, made a reference to the Ku Klux Klan. “The Democrat women all dressed in white — to show solidarity with the Ku Klux Klan? As a tribute to Good Humor salesmen? To look like insane asylum attendants? They like dressing like Charlie Chan?” Mr Simone wrote.